I love your teapot and all the other items. 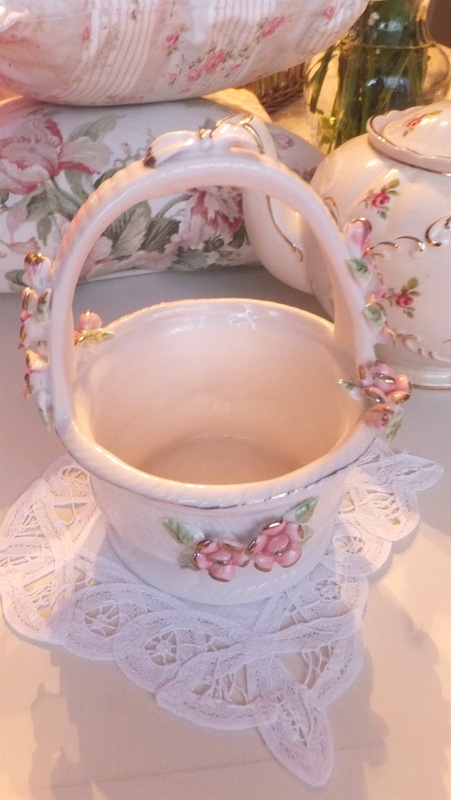 I love to find items with rosebuds. They are so traditional and special. I have a Sadler teapot very similar to that one!!! AND, I LOVE those bone dishes! I made a post several years ago about bone dishes and was surprised how many comments I got from folks who had no idea what a bone dish even was! I am such a sucker for rosebuds! Your teapot is lovely, and as far as I know every pink-rosebud-covered pot I've met has had a crack in the lid(must mean they're extra-loved). I hope your mood improves...the doldrums have been lurking around here too. Time of year, time of year! 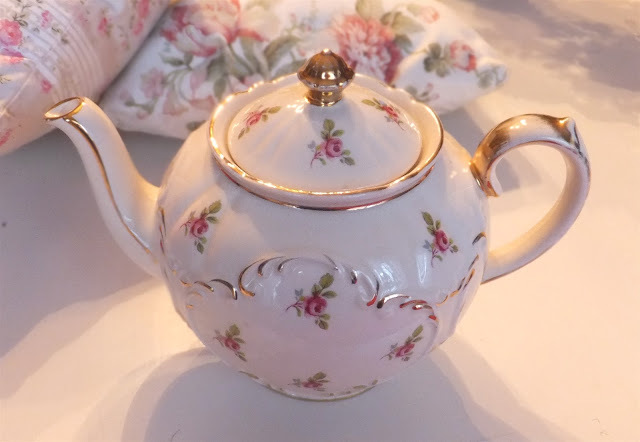 Sadler does make the most deliciously, girly teapots. I do hope your new finds cheer you up as you, 'take your tea'. I have a teeny, tiny child's tea set that is very old. 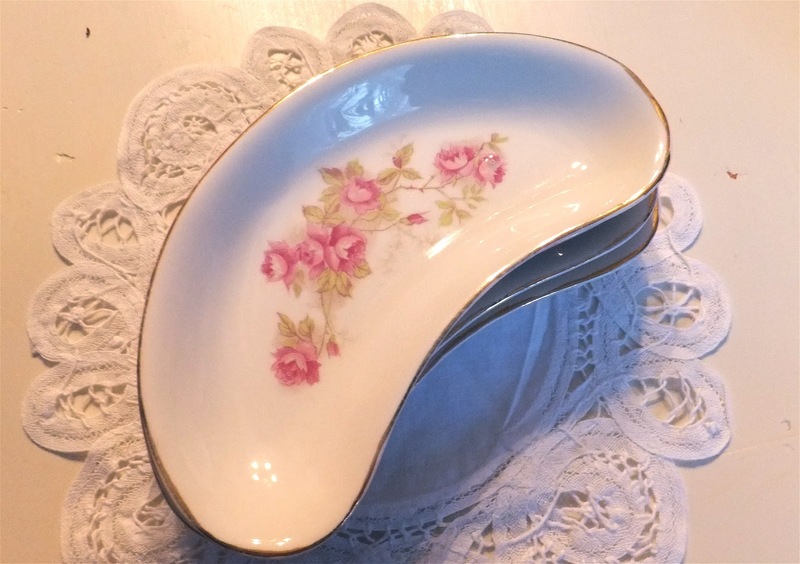 It is the same rosebud design. Don't tell us that you set out your pretty things and didn't have time to invite anyone over. That would be a shame. Does Bentley play well with visitors? 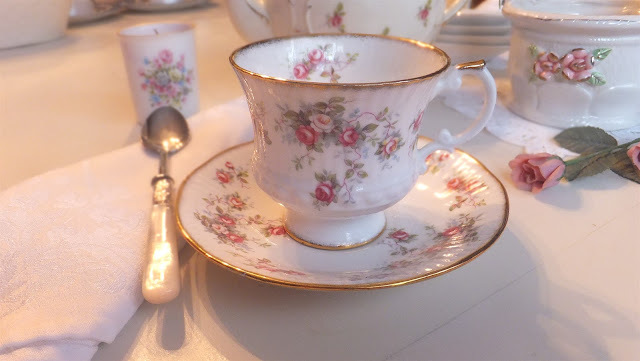 I'm still in love with pink roses on china; me, too, ready for spring and flower buds. 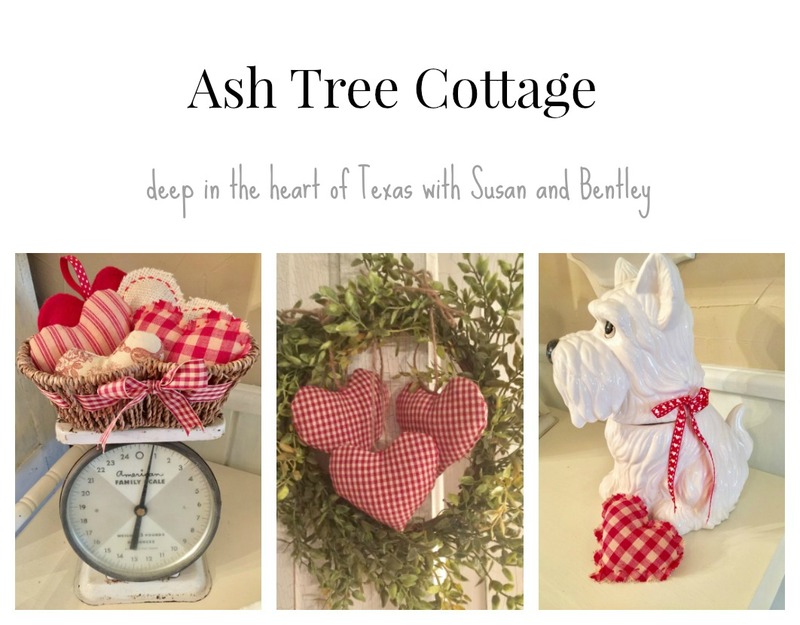 Lovely vignettes with your pink and whites. I also am becoming a pink roses on dishes and pick up them when ever I can find them at my thrift store, of course they are mismatched but that is o.k Something sweet and sentimental about them.Makes you think of the Victorian era.Most romantic. Your little tea pot was a great find. The weather all over the world this year has everything and everyone off. 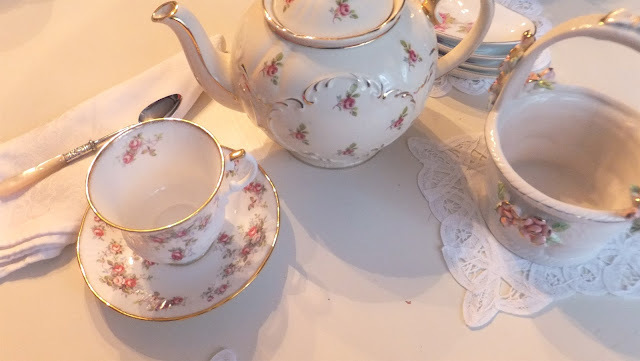 What a precious little tea for one - I love all your new and beautiful thrifty items, and especially love your precious teacup your parents brought you when travelling. I would say you had a good day in spite of the gray and cold. 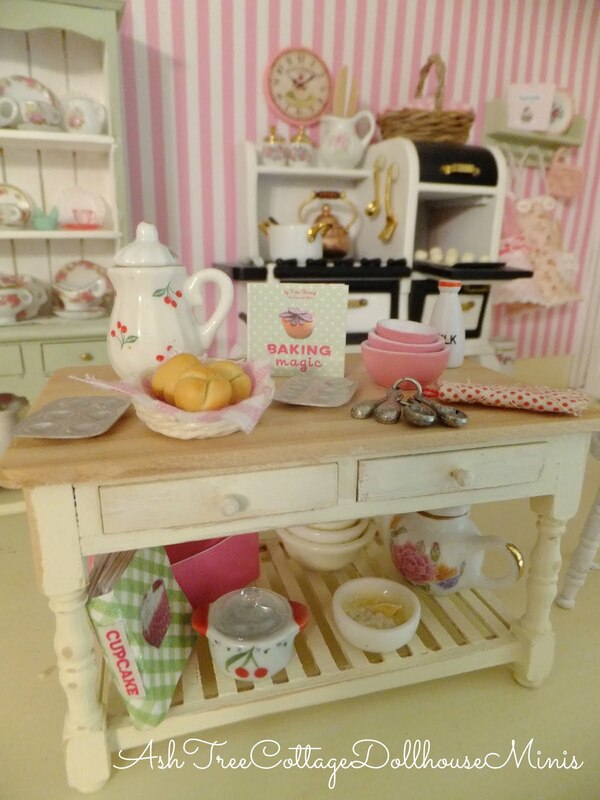 I love the teapot-I have 2 very similar.The teacup is pretty too as well as you other treasures. 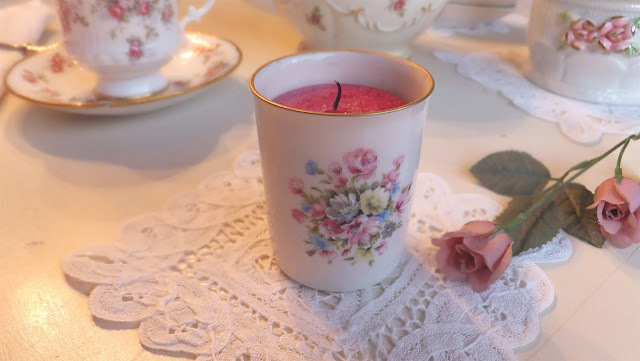 Your tea setting is wonderful and you can never have too many roses!! It all seems like it was meant to be together too. I love roses and tea! Your teapot is precious....it chases the cold away! You bought some very pretty things. Enjoy. Very, very pretty! The teapot is absolutely wonderful. Very pretty teapot and table! It says Spring! It's now a piece of art! Thank you for sharing your creativity at Potpourri Friday at 2805! Totally loving your rose buds!! I had to laugh, as I have the matching tea cup to yours in my collection! Que porcelanas lindas! Adoro rosas e fiquei feliz quando vi a xícara. Trouxe recentemente de uma viagem que fiz para o Canadá uma cremeira e um açucareiro com a mesma estampa. Foi uma surpresa maravilhosa.